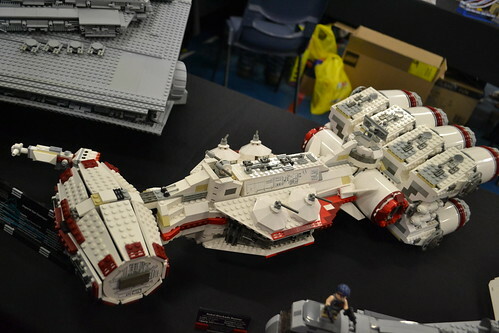 Last weekend (31Oct-1Nov) was a momentous event for LEGO fans in Wellington. 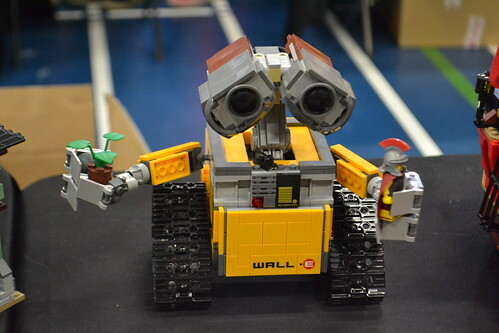 We had our first ever Brick-Con! 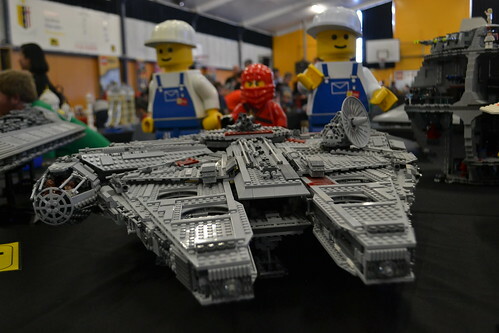 This was organised by the Wellington LEGO User Group (Well-LUG), which has a very active community of mostly AFOLS (Adult Fans of LEGO). The Little People of New Zealand, a charity that supports people with dwarfism, as the beneficiary of this show. I, along with my son and daughter, visited the show yesterday afternoon. I was thinking the crowd would be more manageable by then because it is on its final day but was I wrong! The place was jampacked. And take note - adults outnumbered the kids! We enjoyed viewing the exhibits. There were lots of minifig collections on display, MOCs (My Own Creations), Sets, Star Wars... being a Star Wars fan, this was definitely a must see - I went round that area twice!